I’m a first time user of Rituals, although that’s not to say I’m not overly familiar with the luxury brand. I’ve actually heard a lot about this brand over the past couple of years, and love how they pull well being and self care at the forefront of their beauty brand. 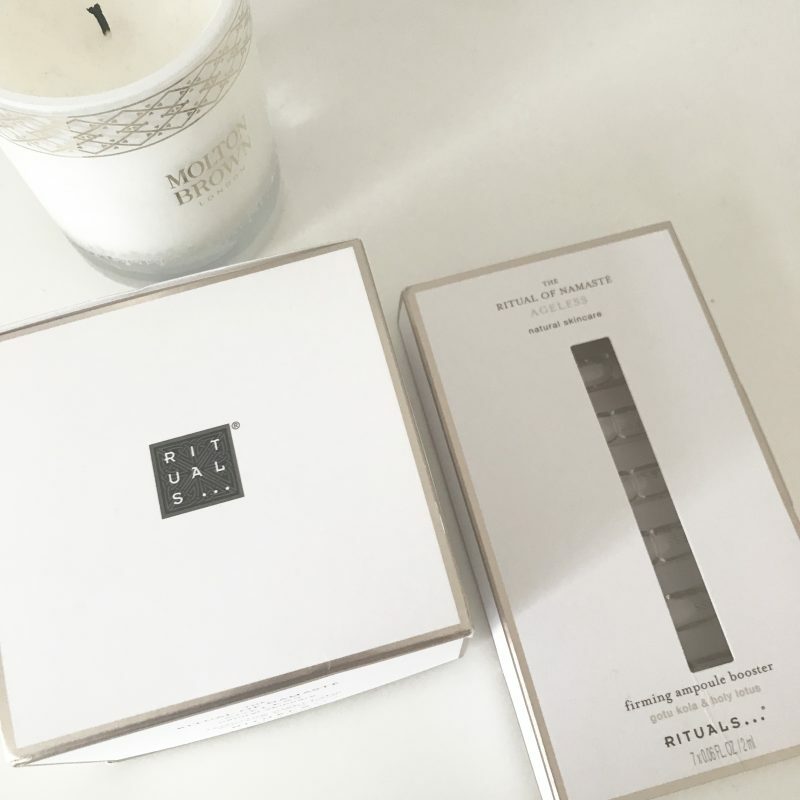 The Rituals brand can be found across their own boutique stores and premium department stores, and of course, online. They are a brand who want you to find happiness within the smallest of things – long relaxing baths, uplifting aromas’s, peaceful ‘you’ moments. 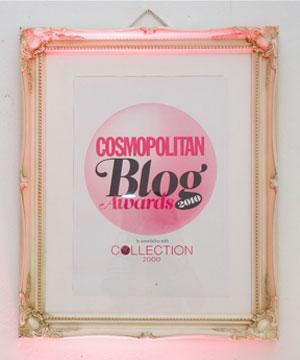 The products always catch my eye, and I’ve come across them in my many years of working within the beauty industry. 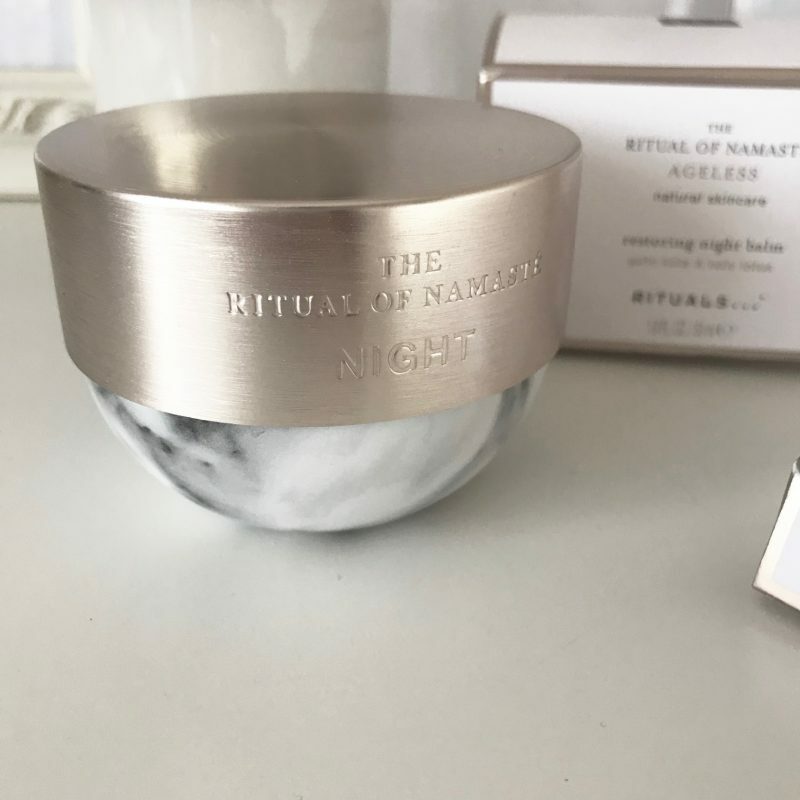 But now that I own the absolutely stunning jar of The Ritual of Namaste Restoring Night Balm, I’m understanding more as to why this brand is so ‘precious’. 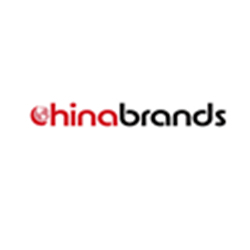 Firstly, this product is a new launch for the brand, and they have numerous version within this range which all cater for different skin concerns. This one is for restoring – intensely regenerating the skin overnight. They also have anti-aging and firming versions, and not to mention a day cream version. 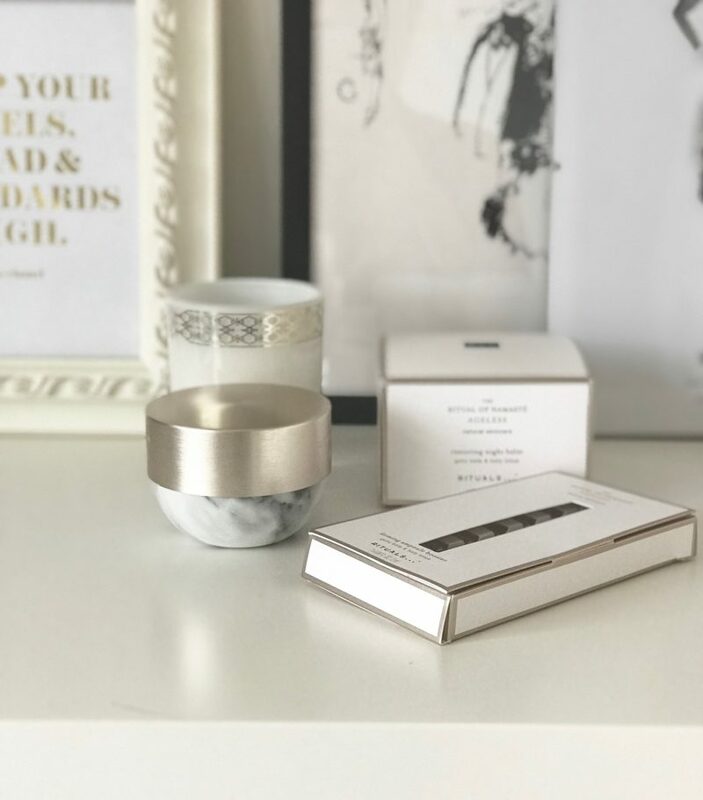 The packaging is divine – you know what us beauty bloggers are like with subtle marble packaging. 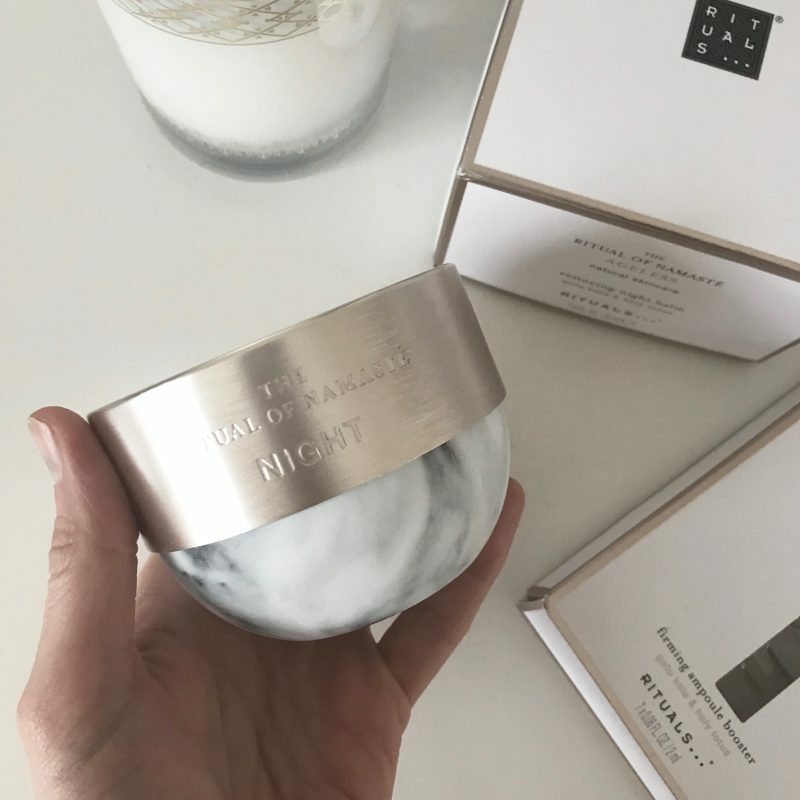 The best bit is that you can get this night balm as a refill, so when the product runs, you don’t have to purchase the tub again. 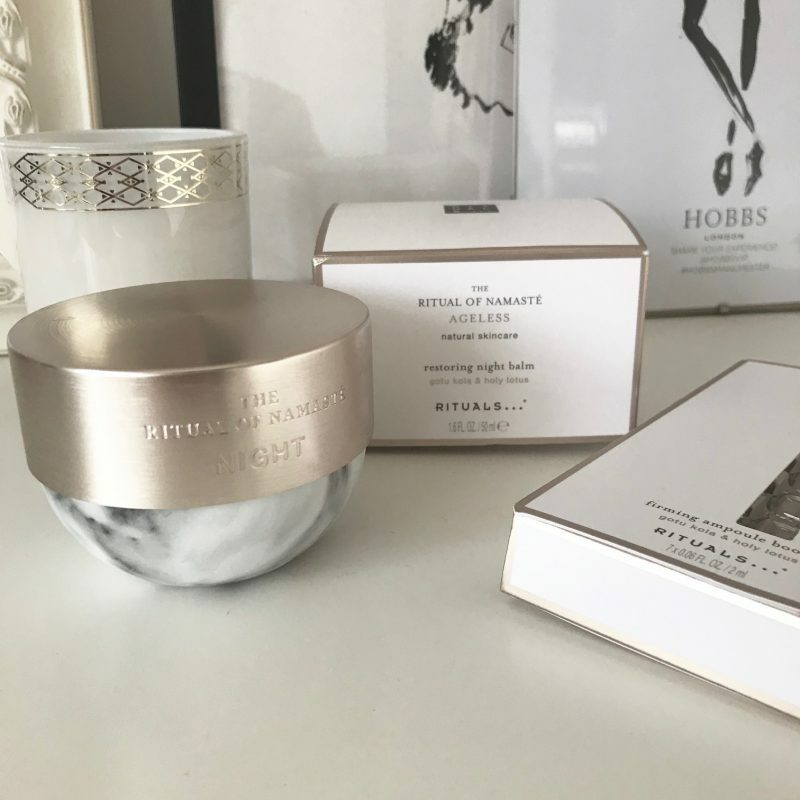 My first thoughts when using this night balm was how it felt like such a dream to use. It has a unique melting texture that changes from a balm to a gentle oil-gel when massaged into the skin, which was pretty divine. This restoring and nourishing balm works whilst you sleep, when the skin is most receptive, to help maintain the balance and radiance of tired-looking skin. My skin is terribly tired looking, mainly from working too hard and staring at screens during the day, and all the late nights I have. I definitely have a dull, lifeless complexion. When applying after my nightly cleanse, the balm has this beautiful calming scent which helps me slip into ultimate relaxation before going to sleep. And through the night, the balm is said to work on improving the skin’s firmness and elasticity, leaving the skin supple, full of youthful radiance, and free from visible signs of fatigue when awakening. It doesn’t happen magically overnight. What product does? But after 8 days of using it, my skin has been feeling less dry, much more hydrated, supple to touch and with a slight glow in the mornings. I look like I’ve had 8 hours sleep when in reality I’m usually around the 6.5 hours mark. 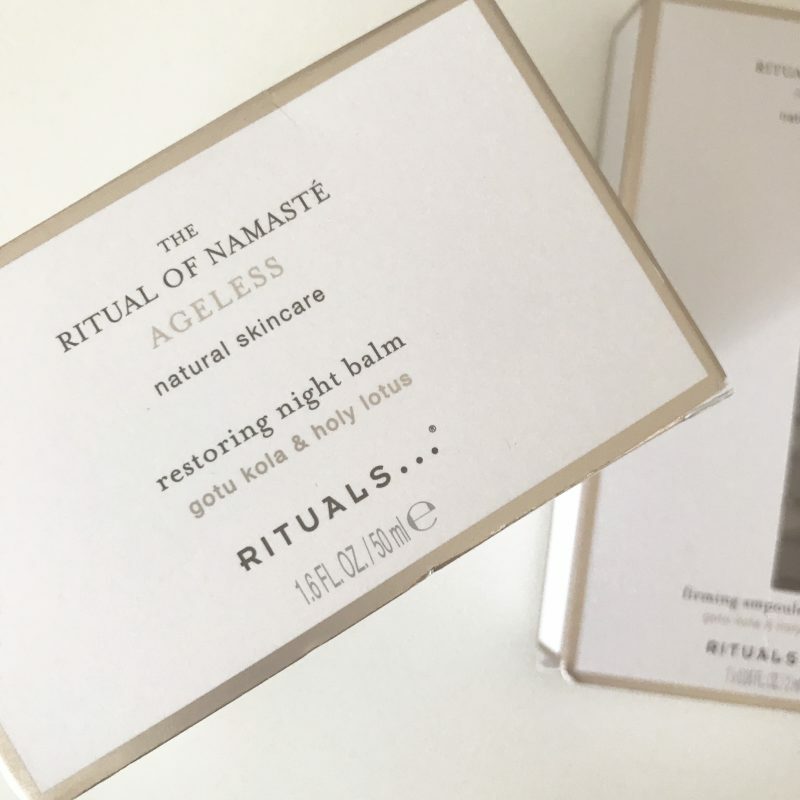 This balm is part of the Ritual of Namasté Ageless line, consisting of firming and lifting skin formulas, specially developed for mature skin. 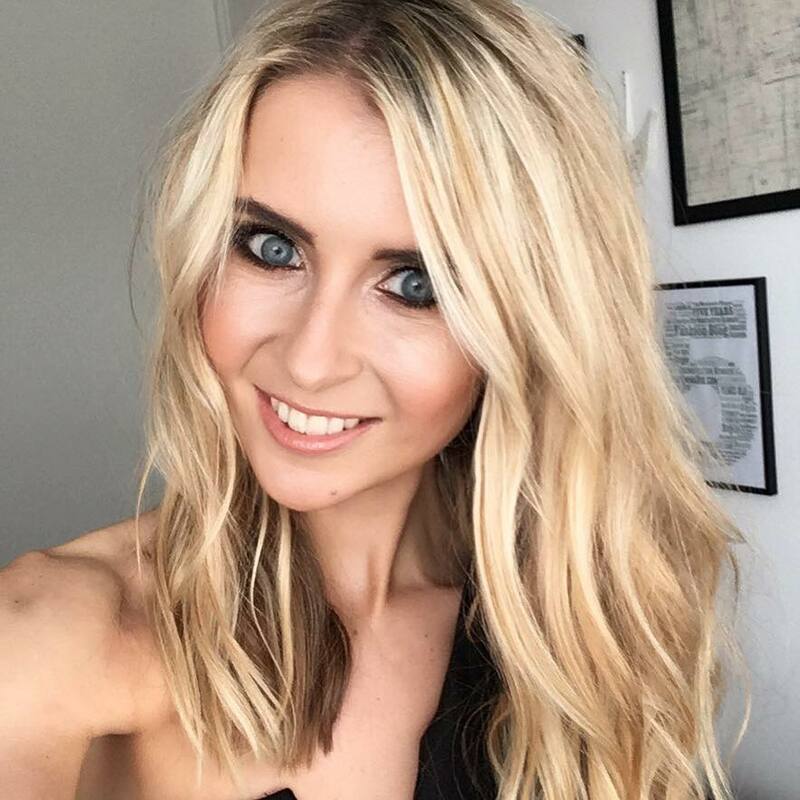 I’m 31 at present, so it’s really important to me that I’m using a skincare range which caters for my skin, because lets face it, this skin isn’t going to get any younger. The formulas are enriched with Gotu Kola and Holy Lotus. Gotu Kola is known for its rejuvenating and anti-aging properties. Holy Lotus, the symbol of purity, beauty and wisdom, is known for its soothing and caring properties. I have noticed an improvement in the redness and puffiness my skin seems to suffer from, so I’m hoping with continued use it carries on! The product costs £36.50, but refills are £32.50, which is worth noting if you fall in love with this product like I have just done. I’ve also been teaming it up with the Firming Ampoule Booster – another new launch from Rituals. Sometimes I find people a little unsure about ampoules, so I’ll clarify: This particular Firming one is an active concentrate in an ampoule form to help prevent premature skin aging. In the pack I get 7 x 2 ml (14 ml) little ‘bottles’, each filled with a highly concentrated anti-ageing treatment fluid to supply my skin with an intense moisture shot. 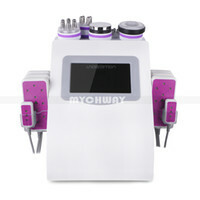 This line also helps to visibly reduce the appearances of fine lines and wrinkles. They are packed with the hero ingredient – Hyaluronic acid – which hydrates the deeper dermal layer and improves the skin elasticity. I used these as a 7 day cure treatment for optimal results. You always apply them before your Serum and Night cream. Firstly, I hold the entire ampoule upright and break it at the smallest point (the neck) by snapping it off in a downward motion. Then, I pour the liquid into the palm of my hand and use fingertips to apply it to my skin. Then, I just throw away the ‘bottle’. I leave it to sink in for a good 15 minutes before applying my night cream. I’d like to use these on holiday, in which my skin gets super dry and flaky, as it’s a real intensive treatment. So far, I’m loving Rituals, and more so I love the messaging and the direction of the brand. 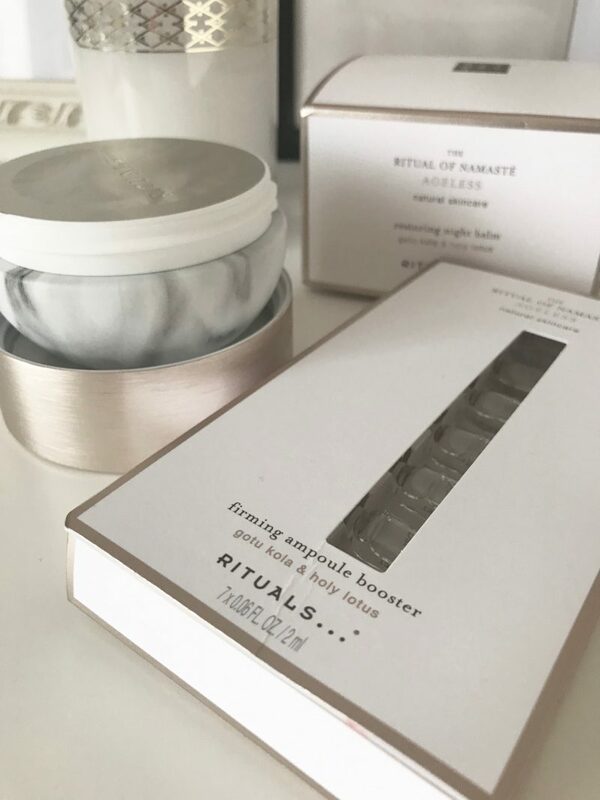 Have you tried Rituals before? Feel free to let me know below, or check out the website here.